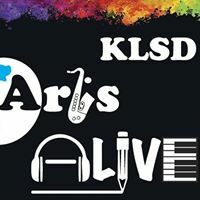 Archive of Events – KLSD Arts Alive! The role of the arts booster organization is to support, not direct, the initiatives of the students, teachers and administrators. ArtsALIVE! provides enhancements that are beyond the scope of the regular budget. Examples include: contributions to the cost of field trips; buying sheet music for student music ensembles; inviting speakers and visiting artists to present working knowledge and experience. While the annual revenue of ArtsALIVE! is modest at best, the list of contributions to the cultural atmosphere as a whole is considerable. At times a small “behind the scenes” gesture – made in concert with other school resources – is sufficient to make a project viable. 17 Students attended the Young Writers Conference. The Fourth Annual JJHS Student Film Festival was held at John Jay’s own theatre to a great crowd. Producer John Donkin gave a fantastic talk about the ins and outs of producing an animated feature at Blue Sky Studios. Indian music workshop and assembly: Visit from faculty from Wesleyan University: South Indian vocalist B. Balasubramanian and percussionist David Nelson, who presented workshops on rhythm and melody in classical South Indian music, and performed for an assembly. Forensic Art and Science Workshop: Presented to 50 students in their science classes by Mr. Mancusi, a forensic artist. Fall Journalism Conference: Workshops at Columbia University on writing, style & grammar, photography, typography, layout and software. Hide tanning and Native American Crafts: This workshop connected to the Native American history unit of the Senior Seminar In Environmental studies. Encore Cabaret 2: Returning alumni joined current students to perform songs from past JJHS musicals as other favorites, under the direction of alum Andre Catrini and MC Tomm Polos. Field Trip to Lincoln Center: This year, 60 students traveled to NYC to visit Lincoln Center and all it has to offer. Students participated in a backstage tour, heard the NY Philharmonic in concert, and attended an evening performance featuring Branford Marsalis at Jazz at Lincoln Center. It was a fun-filled day celebrating our love of music! In addition, our Concert Choir had the opportunity to participate in a workshop with Broadway actress, Lindsay Northen, as well as attend a matinee performance of Wicked the Musical! This opportunity was truly, “once in a lifetime,” for 46 absolutely captivated students! previously performed on the JJ stage. From the auditions to the final curtain, the event was orchestrated by JJ alumni, Andre Catrini, Tomm Polos and Scott Hickey. Stay tuned for The Second Encore Cabaret! The Third Annual John Jay Film Festival was held at Caramoor and attended by a sold-out crowd was a resounding success. Over 20 student films were screened. South Salem resident Steve Martino, Blue Sky Productions director of Peanuts and Horton Hears a Who!, was the 2013 festival’s keynote speaker. Reflections – The JJHS Literary and Visual Arts Magazine: ArtsALIVE! reached out to our generous KLSD community and raised the funds to publish the 2012-2013 edition of Reflections, this time beautifully printed in full color with amazing fiction, poetry and artwork. Still available – get your copy! The Annual VIP Spring Trip to Lincoln Center offers an opportunity for over 60 of Ms. Amy Geiger’s students to travel to NYC and experience a concert with the NY Philharmonic at Avery Fisher Hall, to participate in a backstage tour of the Lincoln Center complex and to attend an evening performance at Jazz at Lincoln Center. Visit to Caramoor:This will be the 13th year Mr. Morales-Thompson will bring his classes to meet with Scott Ellison, the head of the Caramoor Educational Department, where an exciting day includes a tour through the museum’s artwork, a musical performance by Andrew Armstrong, an accomplished pianist, and hands on horticultural work. Students report that the entire day is one terrific learning experience. Young Writers Conference: This is an annual event in which students participate in a day-long conference on the art of writing. Workshops include poetry, conventions of writing, the art of the essay, and more. Students have an opportunity to work with professional writers, editors and authors from many backgrounds who share their experiences and skills. Visiting Filmmaker Workshop: Visiting Filmmaker Ross Kaufman presented his award-winning documentary, Born into Brothels, a short work, Wait for Me and shared his filmmaking process with 59 students in grades 10-12. The students were from Take Two and Digital Moviemaking classes taught by Ms. Nerwen and Ms. Veleas. The students especially enjoyed the question and answer period with this renowned filmmaker. Senior Recognition Award: The Senior Recognition Award was initiated by ArtsAlive! in 2004. Presented at the June graduation ceremonies, the ArtsALIVE! award “recognizes a dedicated artist or advocate of the arts who has displayed creativity and/or initiated an artistic or literary approach to an area of study while at John Jay High School.” Five scholarships were given this year in the following categories: Literary Arts, Theatre, Visual Arts, Music, and Outstanding Leadership in the Arts. The Second Annual John Jay High School Film Festival: Held at Caramoor – see entries about this highly successful event within this site. What better way to study Romanticism in the AP European History course than to visit the Caramoor Museum? This is the 11th year Mr. Morales-Thompson will bring his classes to meet with Scott Ellison, the head of the Caramoor Educational Department, where an exciting day will include a tour through the museum’s artwork, a musical performance by Andrew Armstrong, an accomplished pianist, and hands on horticultural work. Students report that the entire day is one terrific learning experience. Visiting Filmmaker Ross Kaufman willpresent his award winning documentary, Born into Brothels, a short work, Wait for Me and share his filmmaking process with 59 students in grades 10-12. The students are from Take Two and Digital moviemaking Classes taught by Ms. Nerwen and Ms. Veleas. The students are especially looking forward to the question and answer period with this renowned filmmaker. Annual VIP Spring Trip to Lincoln Center offers an opportunity for 65 of Ms. Amy Geiger’s students to travel to NYC and experience a concert with the NY Philharmonic at Avery Fisher Hall,to participate in a backstage tour of the Lincoln Center complex and to attend an evening performance at Jazz at Lincoln Center. Students are taken on a musical journey exploring the work of saxophonist/composer Wayne Shorter’s music beyond The Sound Barrier. The music directly connects to our JJHS curriculum and the NYS Learning Standards for the Arts. One of the highlights of this program is the live rehearsal in progress that the students get a glimpse of! Improvisation Training Workshop for the JJHS Improv Club: An Improvisational Teaching Artist provided background information on the Improvisational art form, guided students through theatre games and exercises, and introduced them to short form and long form Improvisation. Under the Artist’s guidance, students created scenes, acted them out, and learned how to critique scenes. Throughout the program, emphasis was placed on Improvisation as a collaborative art, and thinking on one’s feet. Ms. Jane Willis is the advisor for the Improv Club. A Forensic Art and Science Workshop was presented to 50 students in their science classes by Mr. Mancusi, a forensic artist. Juried film screening and a panel discussion with directors, producers, editors, documentary film makers, animators, and cinematographers. JJHS faculty member, Diane Nerwen, accepted submissions from current JJHS students. The event occurred during the week that KMA will be celebrated student art. Three theatre games. Improv. artists will come into each 9th grade classroom to help English 9 teachers make an instructional connection to “Romeo and Juliet” as students prepare for performances. Teachings artists will lead students through physical games, exploration of characters, and team building. The artists will work with Willis’ 12th grade Film and Society class on creating characters in Class Story Plots: and then will lead improv. rehearsals. 45 students tour Lincoln Center, see New York Philharmonic (Alan Gilberts conducting with Emanuel Ax), and hear Jazz at Lincoln Center (The Music of Bud Powell & Earl Hines) in the evening. The theatrical production of Calculus, the Musical was brought to JJHS calculus students and presented at JJHS. This Symposium will be a fully interactive event in which John Jay High School students and parents will have the opportunity to interact directly with a variety of professional artists, working in the performing arts. The event, moderated by Matt May, who hosted the 2005-2006 season of On Broadway for BECON Television, will begin with an informal, personal introduction of each panelist, leading directly into an interactive question and answer session. Written questions, gathered in advance from John Jay High School Performing Arts students will be addressed, while student and parent audience members will also have the opportunity to ask questions, live, at the event. The panelists will focus on the multitude of possibilities available to artists of all genres in the performing arts, and how one leads him/herself to said opportunities. Approximately 80 students will attend four presentations/workshops with four visiting authors. The presenters include: Chris Spain, Wendy Staub, Laura Corrie, Eve Yohalem. Each presentation/workshop will address one or two aspects of creative writing. Additionally, each author will discuss how he/she became a writer and what it really takes to be a writer. Finally, each author will facilitate an activity and a discussion. Roundabout Theater Company –As part of the AP European History curriculum, the class read the Oscar Wilde play, “The Importance of Being Earnest.” Throughout the year they read a variety of literary forms to help them better understand the societal issues in European history. This satirical play highlights the distinctions between social classes found in Victorian England. In addition, the piece is universally recognized as an unparalleled romp with the English language of the time. Arts ALIVE! will partner with all 6 KLSD schools, the Bedford, Lewisboro Pound Ridge, Drug Abuse Prevention Council and Family University to sponsor a showing of Race to Nowhere, a film about the pressures and stresses of our culture of academic competition and achievement. Workshop- Teaching Artist will provide background on the Improvisation art form, guide students through theater game exercises, and introduce them to short form Improv and long form Improv. Under Artist’s guidance, students will create scenes, act them out, and then learn how to critique scenes. The emphasis is on Improv as a Collaborative Art, and thinking on one’s feet. Ms. Anne Marie Galler will present a series of three after school dance workshops for students in grades 9-12 that will focus on the various aspects of dance technique and choreography as they relate to dance in Musical Theatre. 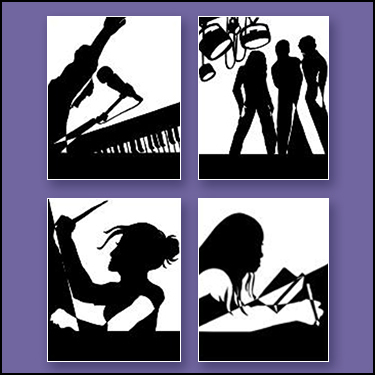 Dance, Theatre and Music are disciplines included in the NY State Arts Learning Standards. Our district does not currently support dance, thus this activity will allow students an opportunity to be exposed to this area of the Arts. This program is for 42 APES students from 3 sections of APES, and all JJHS Art Department students. J. Henry Fair, internationally acclaimed photographer, will present his visual arts to help students understand the human impact on the earth created by industrial waste, agricultural waste, deforestation and coal ash. Student Docents attend five after-school training sessions with a museum educator for each exhibition. These training sessions use an inquiry-based approach to teach students the skills needed to decode and analyze a work of art. When training is complete, the Docents use the same approach to engage their classmates in a conversation about the art during a class field trip to the Museum. The Student Docent Program equips Student Docents and their peers with the skills and confidence necessary to describe, analyze, and interpret visual art. It encourages students to think in new directions about contemporary art and its relationship to their own lives, increases their ability to discover and derive meaning from works of art, and helps them to build their own interpretation of the world around them. 11th Grade Advanced Placement English classes received guest lecturer. World History class to the Met. ArtsALIVE! to contribute to cost of French IV students to Quebec. Actors bring “Macbeth” to life for Grades 10 through dramatic readings. Students are currently rehearsing “As You Like It” for a spring performance. Advanced acting students will go to BAM to see the play in the Bridge Project production – a world-class company directed by Sam Mendes. This production exposes students to performance skills of the highest level. The Student Docent Program is a school program designed to equip students with the skills needed to discover and connect with contemporary art. In essence, the Museum teaches small groups of students from each participating school to lead discussions about contemporary art with their classmates. Led though the exhibition by their peers, students on the tour are more likely to make connections between the work on view and their own experiences. The Onassis Foundation visit will provide a bridge for the cultural continuity from the ancient world, through the Byzantine and medieval worlds, the Renaissance to modernity. A trip to the Metropolitan Museum expands students’ awareness of ancient culture and cultural identity. It permits them to read Latin inscriptions in situ, to grasp the reach in time and space of ancient Greek and Roman influence on world art, and to appreciate the refinement of achievement of ancient civilization. Each level of Latin will have a search through the Museum for objects pertinent to its own particular focus of Latin this year: AP student will hunt for Bronze Age, Trojan War, and Age of Augustus artifacts; Latin 4 will hunt for Republican Rome and Etruscan artifacts; Latin 3 will hunt for early Empire artifacts. This is the annual Young Writers’ Conference. Selected students from area high schools devote the day to working with professional writers on works in progress that they take with them to the workshops. Additional workshops for writers are provided. Funds are provided to Art Department for the opening reception of the two art shows (Rite of Winter and Rite of Spring) at the Katonah Library Art Gallery. The openings are March 6th 10-12 (Rite of Winter) and April 17th 10-12 (Rite of Spring). Contribution promised to Music Theory and Theory/History classes to partake of a full day of concerts and back scene experiences at Lincoln Center. Over 65 people attended a enjoyable evening of comedy and refreshments hosted by Katonah’s own Bill Tisherman, a wine consultant who took up standup comedy to buttress his speaking skills. “Comedy has provided me with a fulfilling mid-life crisis,” says the John Jay parent of two, who goes by “Tish” professionally. In addition to providing a joke or two, Bill provided a variety of wines for the evening’s cocktail hour. “Most of my material is food-related, which everyone can relate to,” he notes, adding, “I think, therefore I am…. I eat, therefore I am more.” Comedian Dave Ingber added a musical note to the evening’s entertainment. Ingber, who graduated from Harvard before deciding to pursue a graduate degree at the proverbial School of Hard Comedy Knocks, wrote the book/lyrics/music for the award-winning “Fantasy Football: The Musical?” which ran off-Broadway in 2009. Other New York writing credits include “God Loves My People Best” (book and lyrics) and “A Political Party!” (co-book/co-lyrics/music). He writes for the ESPN Web series “Mayne Street with Kenny Mayne,” and was a co-producer of the long running midtown comedy show “Sage Stand-Up” from 2007- 2009. Ingber warns: “I’m coming to town with a guitar, and I am not afraid to use it.” His satirical standup acoustic numbers have been known to skewer everyone from jihadists to philosophers to Eliot Spitzer. The crowd lingered until the library clean up crew moved us out! Avijit Halder is one of the children portrayed in the documentary film “Born Into Brothels.” Through the help of documentarian Zana Briski and her foundation Kids-With-Cameras, Avijit, who was born and raised in the brothels of Calcutta, is now studying art at New York University. Relating to various books read this semester, Avijit will share his story and discuss the power of art (photography, painting and documentary film) in raising awareness and prompting change throughout the world. Noted conductor Harold Rosenbaum will work with students of the John Jay Chorale and Orchestra during lesson periods and rehearsals and support the Orchestra in preparing to perform several pieces at the spring concerts. Students devote a day to creating Renaissance arts, crafts and decoration with support of Caramoor staff. Contributed to the cost of winter and spring art shows. 15 students attended the Young Author’s Conference. The 9th grade English classes received “Romeo and Juliet” on our stage. by a professional musician. This is for the multiple students looking to major in percussion. for the Arts and is an integral part of our school curriculum. This concert featured two living legends, Chic Corea and John McLaughlin. Students will hear a variety of jazz style spanning 40 years. Mr. Rosenbaum will work with Orchestra & Chorale students on their Spring Concert Repertoire. of the work of German composer Johannes Brahms. The dancers will work with students on Duncan and other modern dance techniques. The workshops will run after school from 3-6pm with the third workshop an assembly for performing and visual arts students. 5 weeks of after school tap classes lead by Anne-Marie Galler in which 68 students participated. An ArtsALIVE! annual meeting combined with an opportunity to mingle with parents, faculty and arts students. The Advanced Placement European History curriculum includes a study of Romanticism, and as part of that unit our class will visit Caramoor museum on February 14, 2007. This will be the seventh year I have brought my classes to Caramoor, and every year the trip is one of the highlights of our year. Marilyn Reynolds heads the museums Educational Department and she has planned for us an exciting day of activities which includes a tour through the museums artwork, a musical performance by Andrew Armstrong, an accomplished pianist, and even some hands-on horticultural work for the students. Contributed to cost for Refreshments for Rite of Winter on 3/10 and Rite of Spring on 3/28. and starring Alan Cummings and Dianne Weist, of a play that the students had been working on in class. Workshops for forty students on how stage combat is an extension of the elements of good acting: focus, intention and commitment. 2 writing workshops in poetry. Workshops on photography, typography, layout, creative writing, critique. their translation skills and do activities prior to and after the performance. Mr. Espada will read his poems and lead discussion to explore the diverse social, historical and cultural dimensions of his poetry which arises from his Puerto Rican heritage and social consciousness. Students will relate their writing to their own cultural identities. is brought to life. Its main character, Cam Jansen, is from a popular children’s book series. an opportunity to practice their translation skills and do activities prior to and after the performance. its staging and music. Carmen is a colorful selection for a first step into French opera. November 17, 2005 20 students. Students who read “The Little Prince” in French saw the play in English and enjoyed a backstage tour. as well as student interpretations of various scenes. ArtsAlive! and the Gay/Straight Alliance of JJHS have combined to mount a presentation of “The Laramie Project” written by Moises Kaufman. Approximately 18 students will participate in the staged reading, which will be directed by Karen Ludwig, a Lewisboro resident with background in professional theater – both as an actress and director. One public performance, followed by two assemblies for students during the week. TheatreworksUSA, founded in 1961, is one of America’s foremost professional award-winning theatre companies for young and family audiences, performing at home in New York and touring across the country to theatres, art centers and schools. Students from FOCUS, the student newspaper will attend a journalism conference and workshop which will cover all aspects of student publishing including typography and design, feature writing, writing about sensitive issues, and photo essays. French III student for Impressionist art study. Jan Reynolds, writer, photographer, adventure traveler came to speak to a varied audience of students including the FOCUS staff, Modern American Culture students, photography students, and others. Contributed to the expenses of a fund raising concert at Caramoor to offset travel expenses to Florida. A contemporized version, performed for 9th grade. Contributed to the cost of printing “Reflections” annual literary magazine. Purchased sheet music for student string quartet. Open to students of JJHS and area colleges. Local fans of all ages attended as well. Improvization as well as basic favorites streamed forth in an easy going, afternoon of groove with audience participation. Poet Faith Vicinanza taught three programs on the art of writing, polishing, and presenting a poem – with added emphasis on posture, diction, and presentation as a dramatic vehicle. This program was a precursor to the SLAM on May 21, where guest poets competed with JJHS students. The English Department coordinated the two slams where the audience numerically rated the poets based on delivery, message, and style. 15-20 students joined the friendly competition with a 9th grade student proclaimed as the winner. Returning guest poets included Ernie Blue, Faith Vicinanza, Elizabeth Thomas, and Krishna Hayes. “A New Dimension to the Art of the Wordsmith.” A songwriting opportunity in a two part series working with a masterful composer, fusing words and notes into a blend of personal story. “Art in the Shops” is a new endeavor sponsored by ArtsAlive which provides area merchants with a revolving showcase of high school artwork for display in their places of business. The Katonah Chamber of Commerce is the primary recipient of the work, provided through a joint effort of the JJHS Art Department and ArtsAlive members Nancy Mendelsohn and Donna Camedeco who initiated the idea. The objective of Art in the Shops is twofold: for students to gain experience in presenting themselves and their work in a professional manner; and for them to have the opportunity to display their work in local venues… places where artwork may not typically appear. It is a win-win situation for shopkeepers as well as art students. “Things Fall Apart” (written by her father Chinua Achebe). A 17th century fable performed by martial artists and young musicians. Fundraiser: “Island of the Blue Dolphin” by TheatreworksUSA. TheatreworksUSA presents a musical adaptation of Scott O’Dell’s award winning children’s book. Mr. Childers taught instrumental workshops for students tailored to specific interest areas. Rajeckas & Intraub’s workshops with drama students focused on concentration, cooperation, commitment and collaboration as a tool for self discovery combining mime, dance, music and sound effects. Master teacher and actor Paul Urcioli taught a series of workshops for drama students using the Meisner-based techniques developed by David Mamet and William Macy. AP European History students toured Caramoor, attended a musical performance and a hands-on horticultural class. Students donned 19th c European clothing for a photo shoot in the museum setting. Reggie Marra, Gerry Degenhardt, Ernie Blue, Elizabeth Thomas, Faith Vicinanza, and Krishna Hayes provide various approaches to students in all grades including performance techniques, intensive writing workshops. ArtsALIVE! initiates a project intended to create long-term revenue and honor individuals who have blossomed creatively while active in Katonah-Lewisboro School District. By purchasing a nameplates, an individual will be remebered in the theatre foyer at the high school. ArtsALIVE! announces a long range goal: to build an Art Gallery at the high school. A performance of combination of mime, modern dance and vaudeville. Two classical musicians/scientists taught the scientific properties of sound. The workshop began with a live musical performance followed by acoustical demonstrations designed to make cross-disciplinary connections between concepts such as waveforms, overtones, frequency, resonance. through in-class reading with actors. The visit culminated with a performance. Visiting Artists: Joanna Featherstone performs “Hold Fast to Dreams” a monologue based on the poets of the Harlem renaissance. Reggie Marra, Gerry Deganhardt, Ernie Blue, Elizabeth Thomas, Faith Vicinanza, and Krishna Hayes provide various approaches to students in all grades including performance techniques, intensive writing workshops. This traveling male a-cappella singing troupe from SUNY Albany performed for our students and worked with the male members of the JJHS chorus. The Spirit Ensemble drummed outside, filling the campus with rhythm. Performance, intensive writing techniques presented by varied poets. Actress, Director, Educator, Ms. Czernobilsky addressed the experience of prejudice through theater exercises. This is an exploratory workshop with drama students and Modern American Culture students. “MusicPhest” at Homecoming. ArtsALIVE! sponsored a dance with student band performances. Katonah-Lewisboro School Foundation for $3000.00. Acclaimed Beat Poet read selected works of his own and that of Allen Ginsberg’s. drawings and/or writings. Her work involves retelling of stories or making references to lost or little known historical, cultural and personal history. Dr. Gibbons spoke on the disappearance of heros and heroines in modern American culture. Ms. Coluccelli met with drama students in the making of JJ Theatre Workshop’s production of “South Pacific”. Ms. Santiago spoke of emigrating as a teenager from Puerto Rico, and her quest for higher learning. We contributed to the cost of material for the John Jay Art Club mural. Renowned jazz guitarist John Scofield, drummer Bill Stewart, and bassist Larry Grenadier held a public concert and workshop for music fans fifteen years of age and up. A Takamine guitar was raffled (courtesy of Kaman Music). “Story as History – History as Story.” A workshop to heighten awareness of events, both personal and historic, from a media perspective. Who is telling the story? How can one decipher the story from the storyteller? in an acoustically perfect environment. A presentation to all art classes on the interrelationship between math, computer modeling, architecture, industrial design and engineering in the completion of a ceramic mural in a corporate location. Performed one assembly and held informal drumming on campus. For students performing in the first student-directed One Act Play Festival (which featured four plays by Ives). “If I Were A Poem”. A two workshops open to all students on writing and performance techniques. ArtsAlive! has purchased the published works of visiting authors and artists for the library.